Our downstairs floors, I mean. Like an ugly baby in the sense that they’re mine and I LOVE THEM. 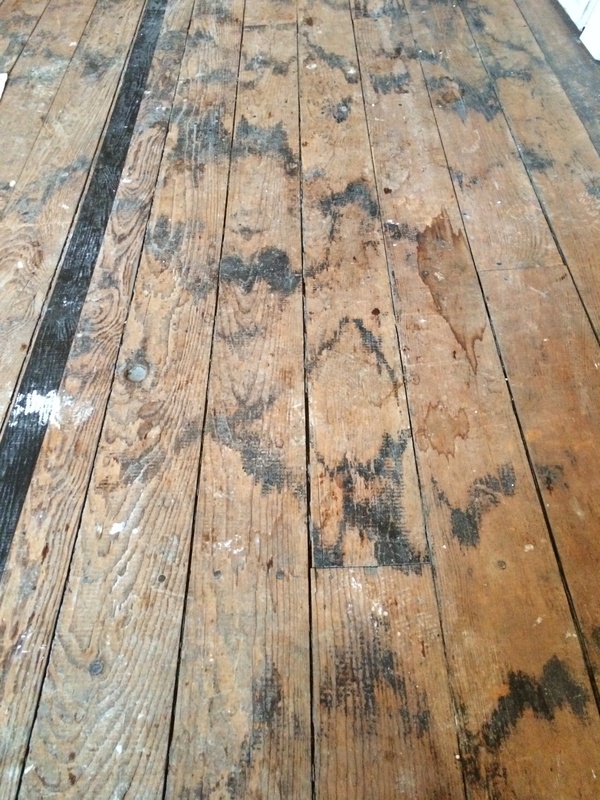 The original pine floors on the first floor are really freaking old. Some parts were painted…don’t ask me why. 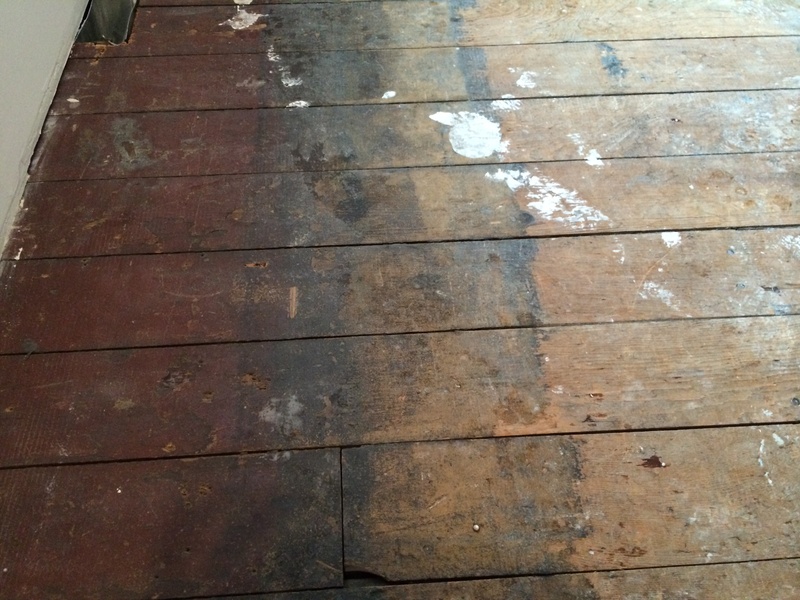 Other parts have this weird black stain on them that even the floor guy can’t explain. One of the floor guys we talked to said that pine doesn’t stain well. It gets gooey and doesn’t spread nice and evenly. ← The devil is ice skating. Love the updates and what ya’ll are doing. 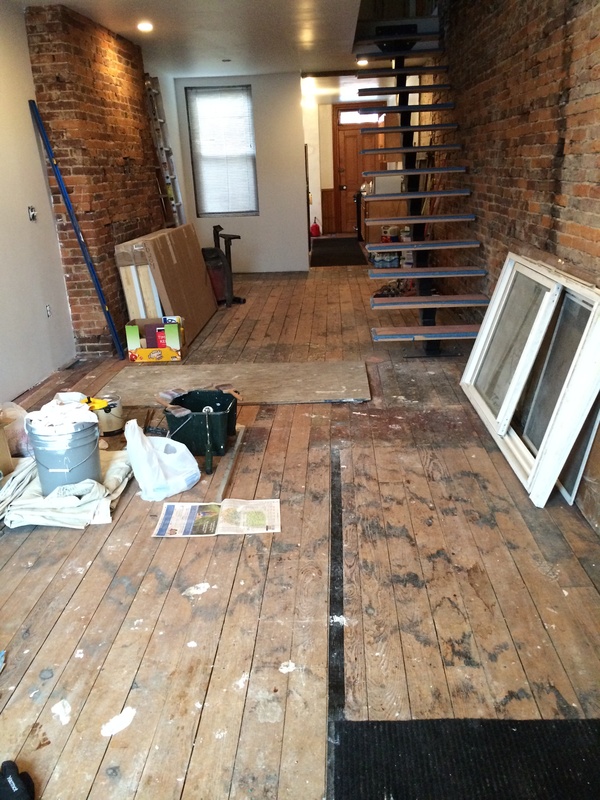 Can’t wait to see the floors Courtney!